Designed by Luis de Garrido, and nominated the best benchmark in residential sustainable architecture. Madrid, November 2011. 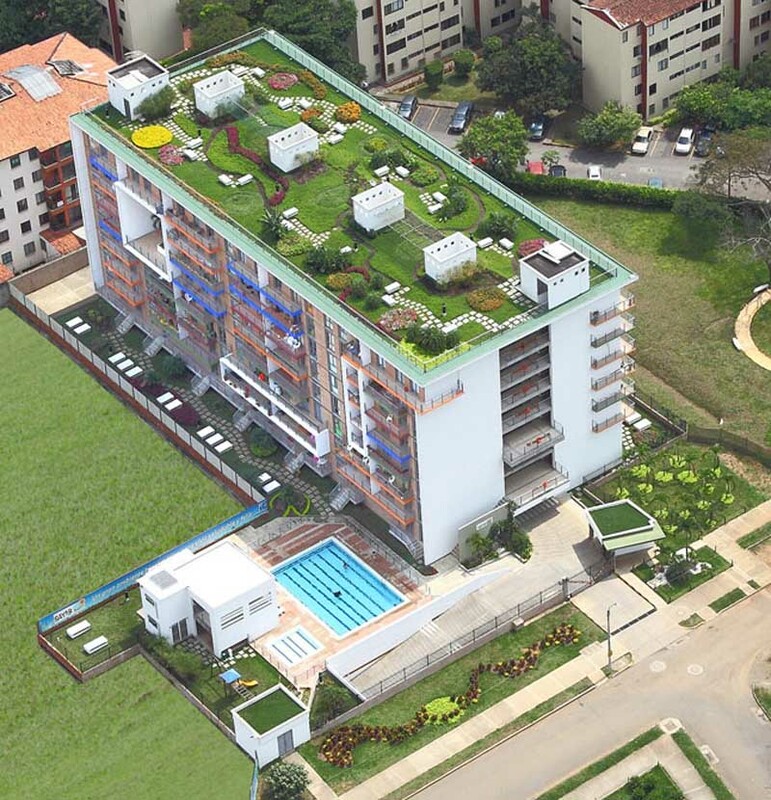 The SAYAB complex has been chosen as the most sustainable residential building in Colombia, having received the Gold Medal in environmental responsibility. Recently it has been nominated for best residential benchmark in sustainable architecture in the Americas. The prize was awarded by the prestigious “Fundación América Sostenible,” which makes SAYAB an international benchmark in sustainable architecture and social housing. 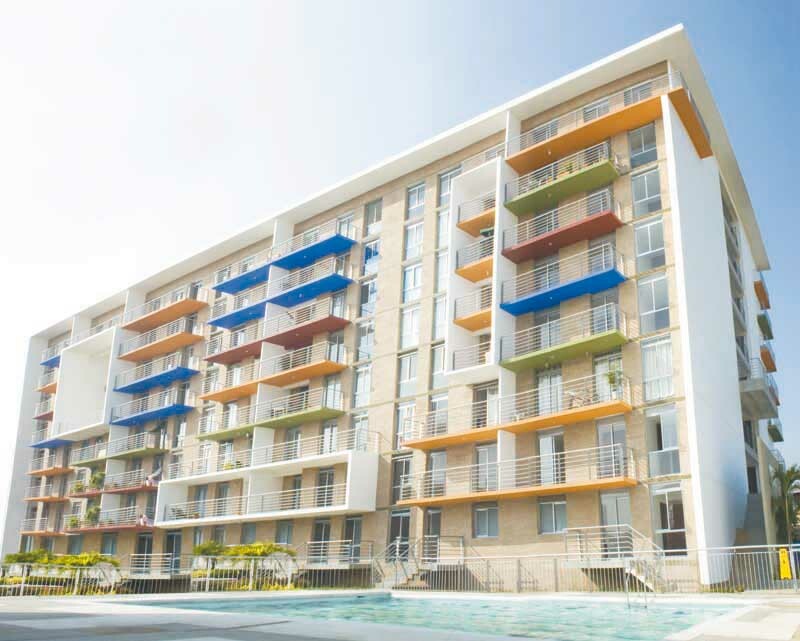 The ambitious project was designed by the architect Luis de Garrido, who has been a longstanding benchmark in sustainable architecture, and was built by the prestigious construction company IC Prefabricados. 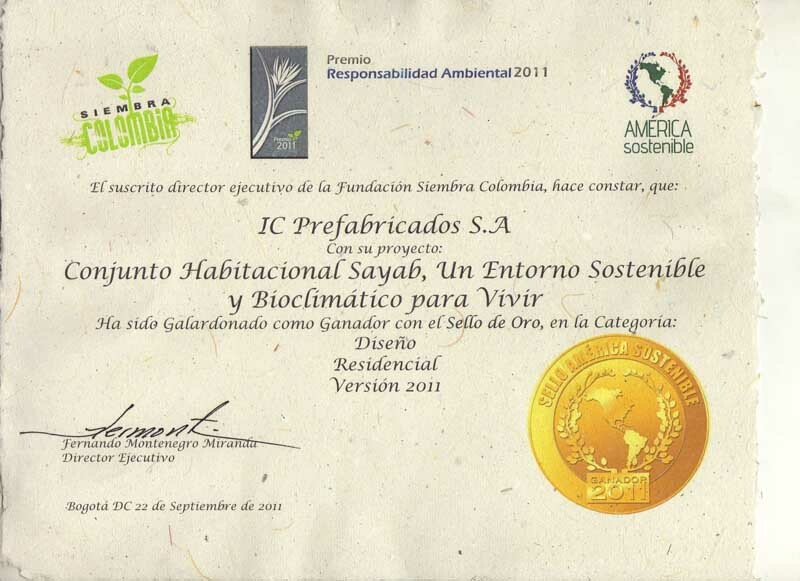 The prize was awarded due to the unique characteristics of the project, whose objectives are summarized in the name: SAYAB means “Natural source of life” in Mayan. ● High level of sustainability. ● High level of bioclimatic design heating and cooling systems are not needed. ● Industrialization and prefabrication of all components. ● Use of reusable and repairable components. ● Can be completely dismantled therefore buildings are never demolished. 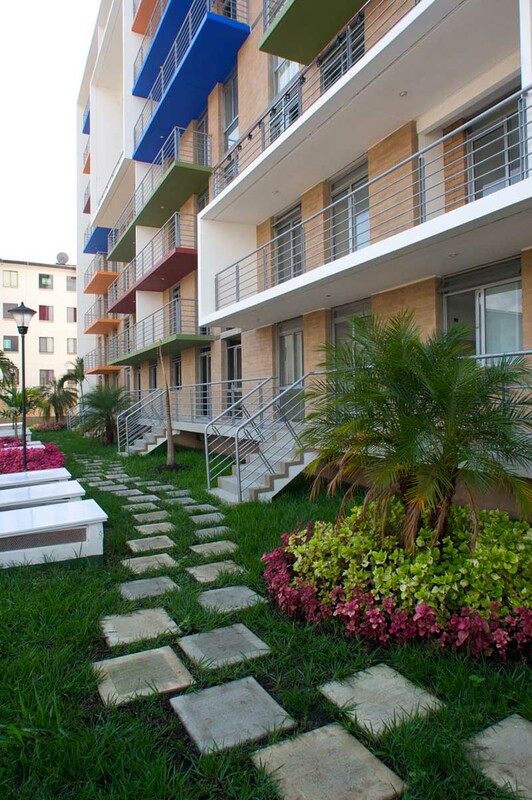 SAYAB is located in the neighbourhood of Gratamira in Cali (Colombia). 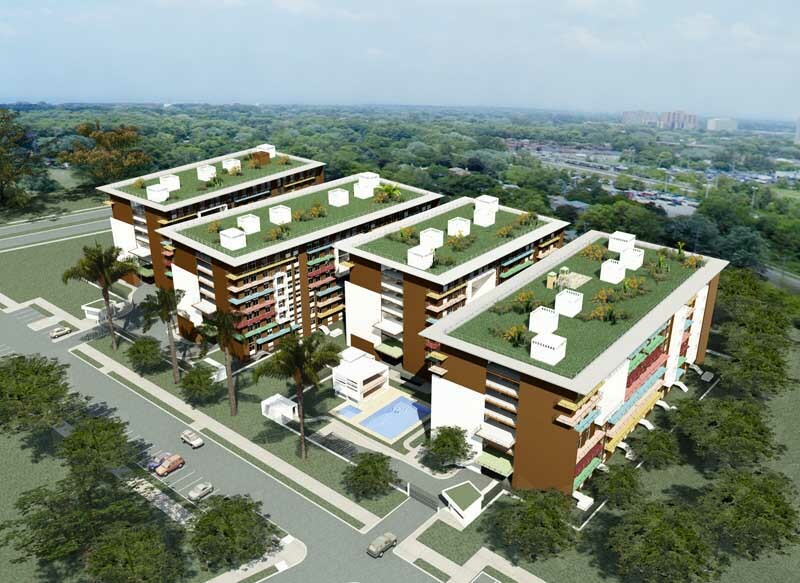 The site is suited for development, and is intended for middle class housing in Colombia (Social housing in Europe). 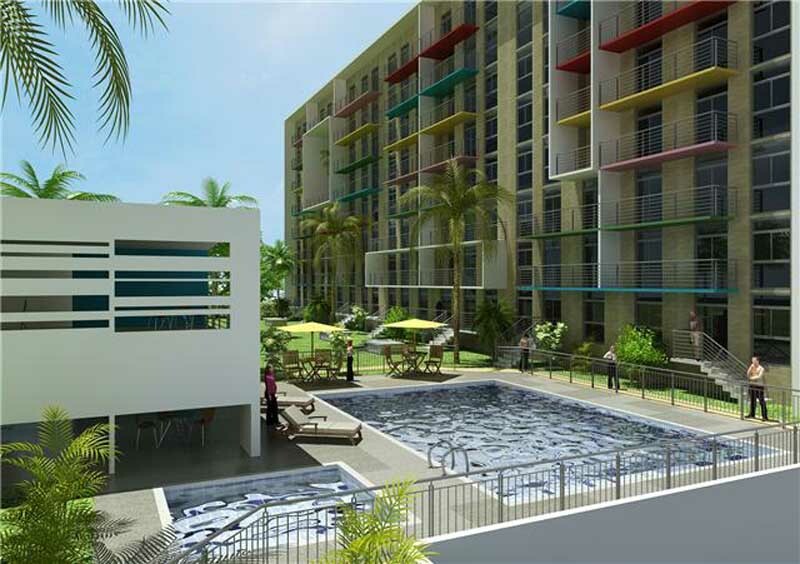 The residential complex consists of 4 large blocks with a total of 345 houses, and various social and commercial centers. 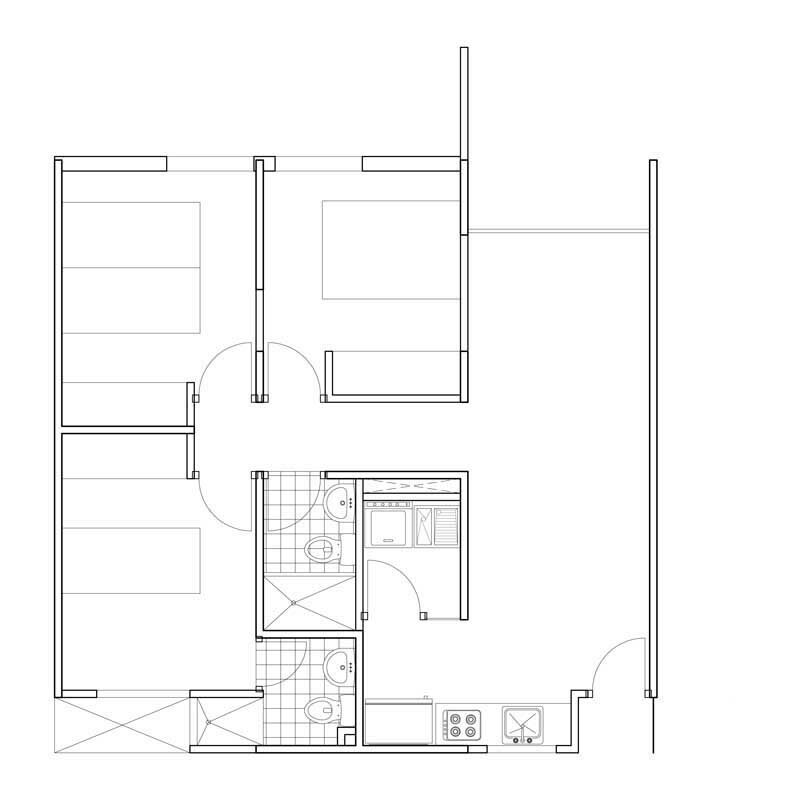 There are two basic types of housing: single-storey housing (with a floor area of 72 m2 built), and two-storey houses (with an approximate floor area of 103 m2). 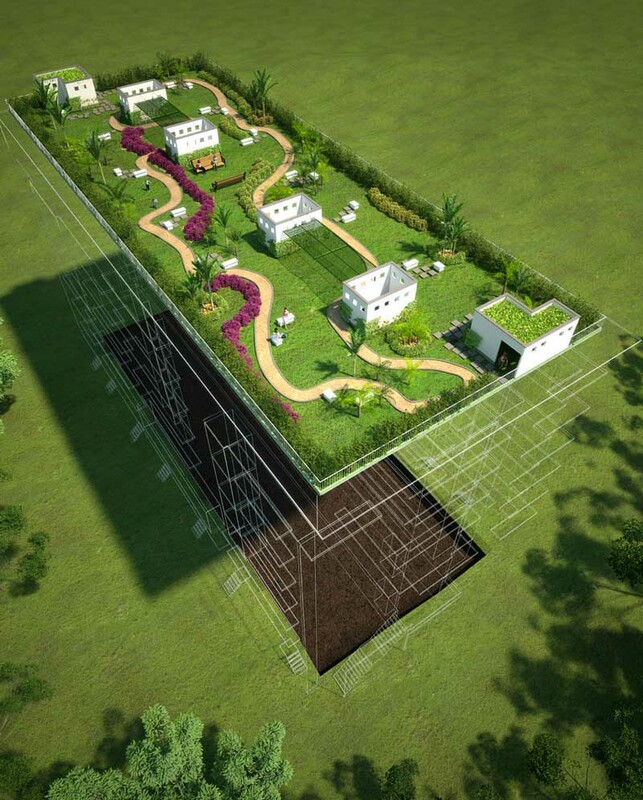 To maximize the allowable floor area, and minimize the impact of the price of soil, floor area has focused on four blocks, with east-west. 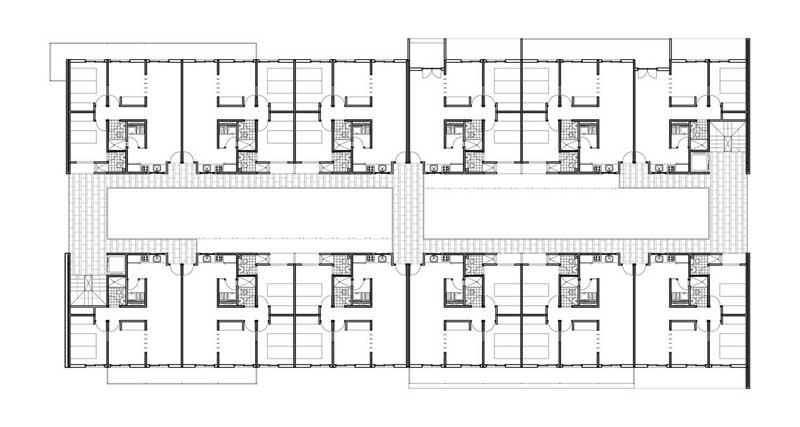 Each of these blocks is formed, in turn, by the union of two linear blocks, separated by a long covered courtyard. This ensures that direct sunlight can not enter the housing, and therefore prevents overheating by the greenhouse effect. Each block has two vertical communication centers, and the different buildings can be accessed by perimeter galleries located in the central covered courtyard. The blocks have a very simple architectural structure, to minimize cost, and to make the most of the process of prefabricated components. 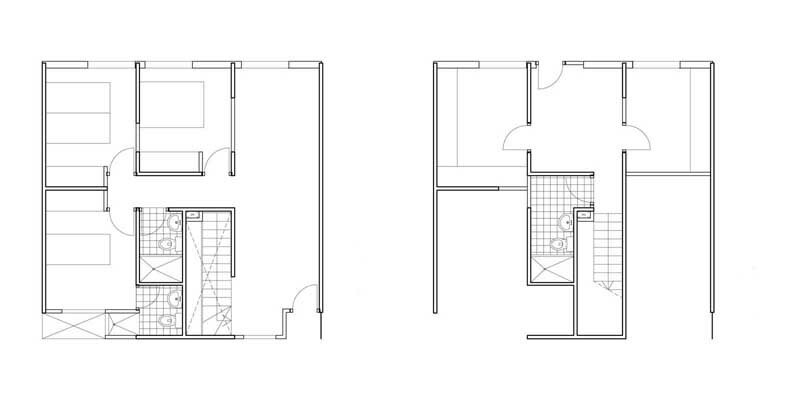 Despite this supposed simplicity, no two homes are the same throughout the complex, since all the facades are different every flat has a different balcony. 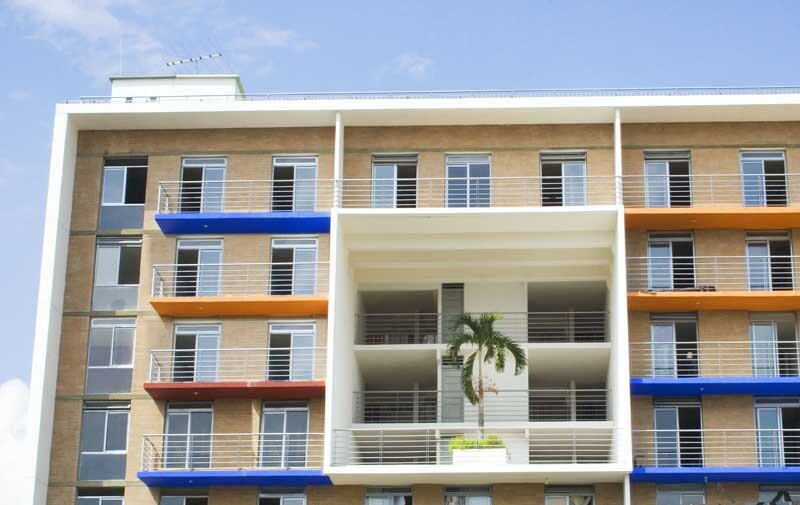 To emphasize this difference, and provide some complexity to the project as a whole, the balconies are painted with different colours. The blocks have a holes cut out in several spaces that are used as covered patios at different heights (sky courts). They provide transparency to the complex and in addition, these courts generate a fresh microclimate within the building, and encourage neighbours to interact and builds a strong sense of community. 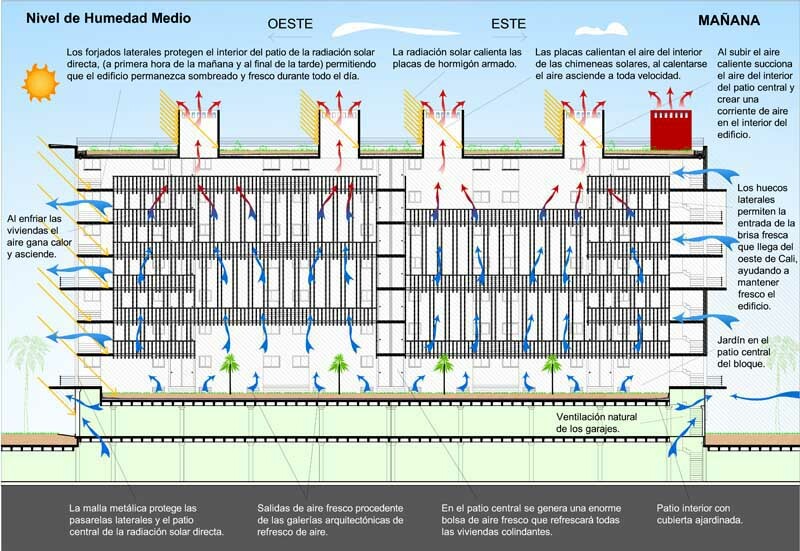 The interior of the blocks creates and maintains a large cool air pocket, which runs continuously along the buildings, cooling them in its path. 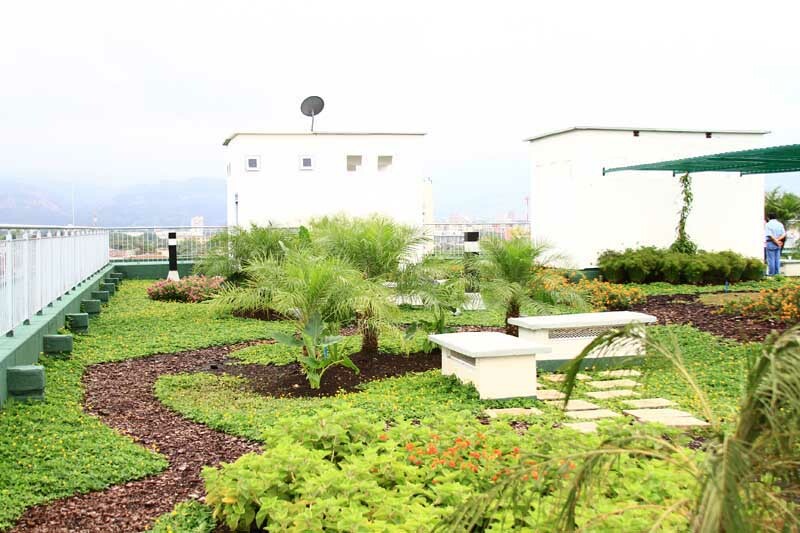 The residential complex has 4 types of green areas, located in different locations: The exterior, the inner courtyards, perimeter yards between buildings, and the green roofs of the blocks. 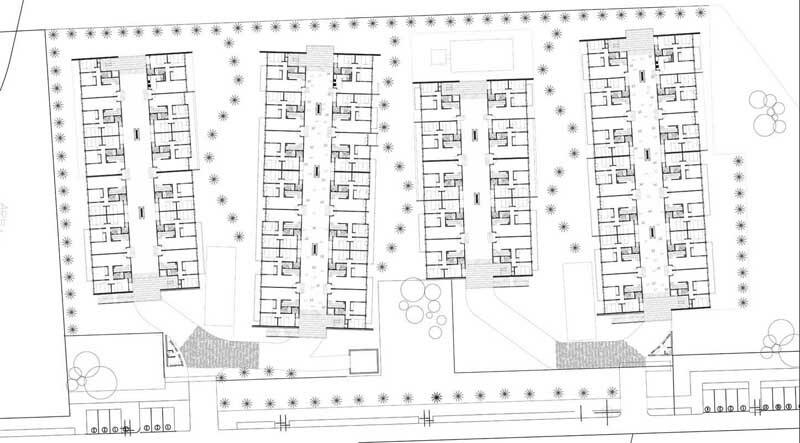 In total, the green area doubles the surface area of the complex. The houses are flexible and allow different architectural structures to meet the particular needs of each prospective occupant. The design of SAYAB has a high level of sustainability as it faithfully complies with 38 of the sustainable indicators that Luis de Garrido has set in his day to day work as an architect. 2.8. Level of buildings thermal inertia. 6.5. Residual energy consumed by the building when not in use. SAYAB’s design is very special, because the buildings are able to self-regulate heat without the use of heating and cooling devices. The buildings remain at a constant temperature, around 22º – 23º, although the outside temperature in Cali hovers around 30º year round. This is achieved through the use of specific bioclimatic techniques, and improving the thermal inertia of the buildings. 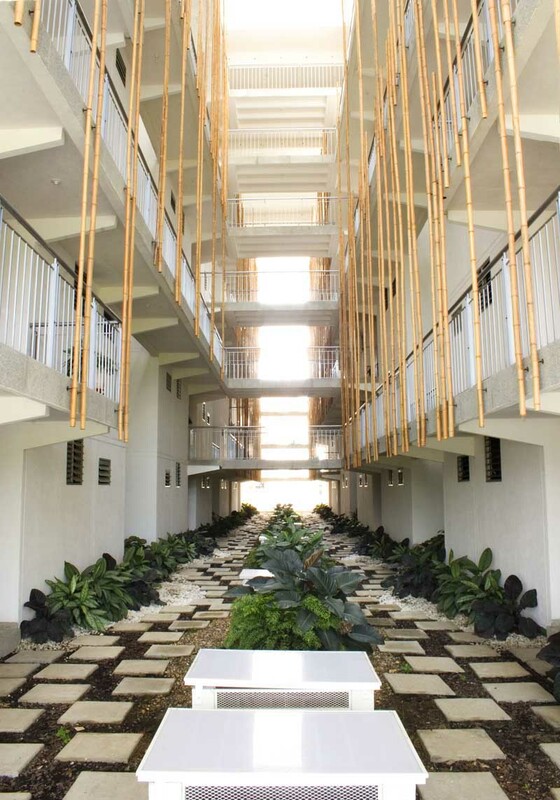 The optimal bioclimatic design of the buildings naturally light every room of the housings during the day, therefore artificial lighting is not needed throughout the day. On the other hand, the materials are breathable, ensuring natural ventilation of every one of the rooms of the building, even when the windows are closed. 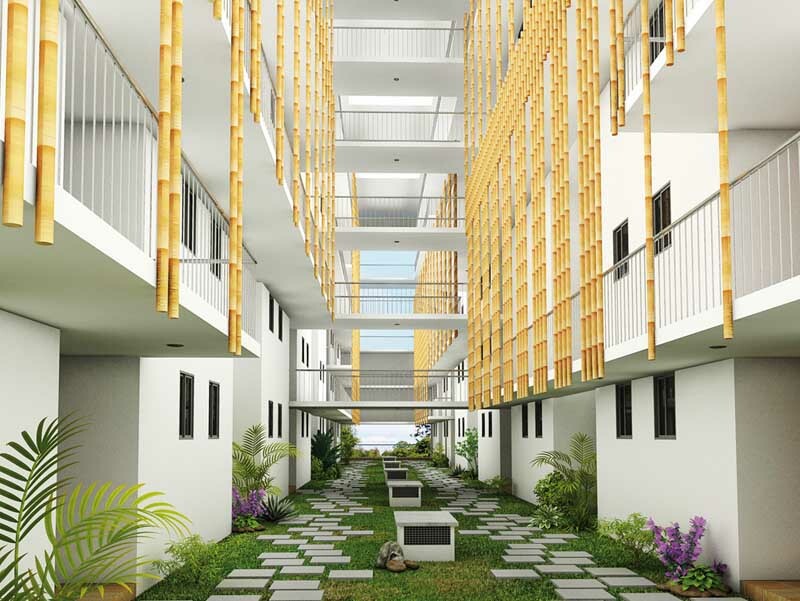 On the other hand, the complex has a natural ventilation and cooling system, which continuously keep dwellings cool without the use of mechanical devices and energy. The only energy consumed by households is that needed to power appliances and artificial lighting at night. What’s more, both appliances and lighting systems are energy efficient. The construction of SAYAB was completed using an advanced industrialized system based on prefabricated reinforced concrete panels. This eliminates the production of waste during the construction process. In addition, SAYAB does not generate any waste or emissions during daily use, with the exception of the small amount of organic waste generated by its occupants. In consideration of this, each block has a Technical Waste Unit, which separates collection of waste for efficient transportation to the plant and treatment. 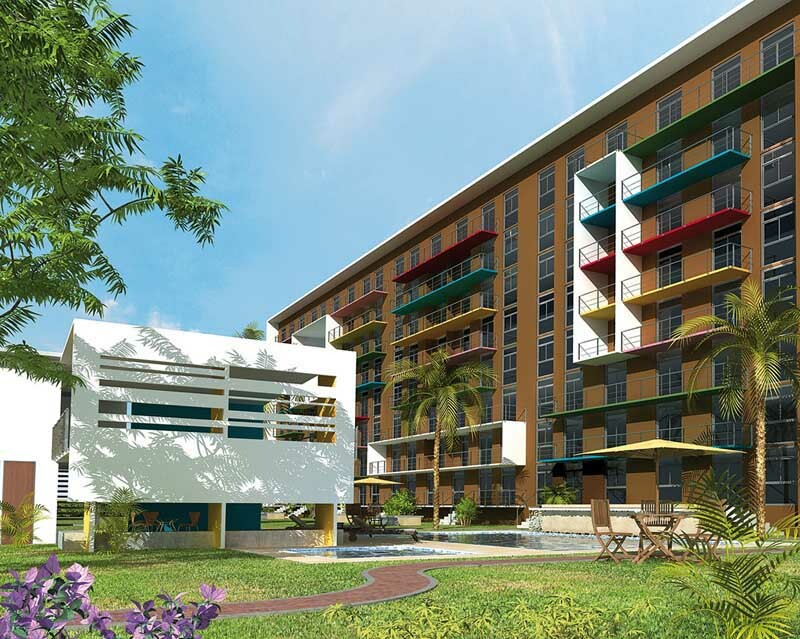 SAYAB has an area of green zones which doubles the lots size. 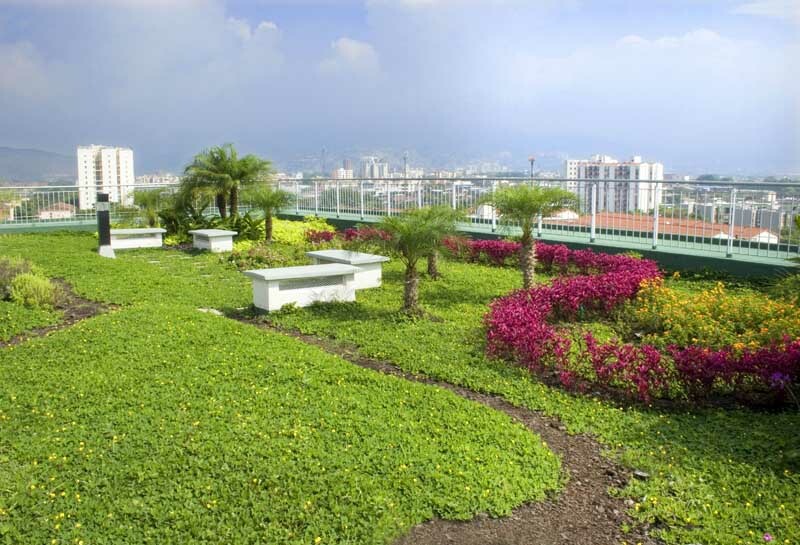 These green areas are arranged around the space surrounding the buildings, on roofs, in the courtyards and patios at different levels (SkyCourts). More of the land has been returned to nature more than it has been taken away. It is therefore a fitting tribute to the goddess Pachamama. Of all the designed public spaces, semi-public and private spaces has been carried out to to build a strong sense of community among the neighbours. 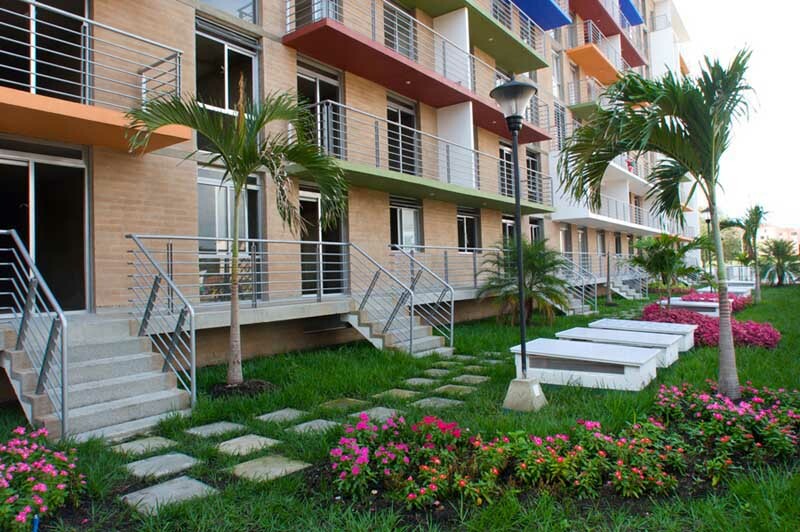 Areas establish social, recreational areas, and meeting areas at different levels of the buildings. Green areas of courtyards, gardens and decks are especially sought out by its occupants. SAYAB has three levels of security. 1) Access to the whole complex by two gates 24 hours a day. 2) Access to each separate block. 3) Access to housing. The garden includes an additional security level, they can be used as nursery and play area for children, with added privacy and security. Every material used, without exception, has been carefully chosen not to damage the health of the people or the environment in any way. 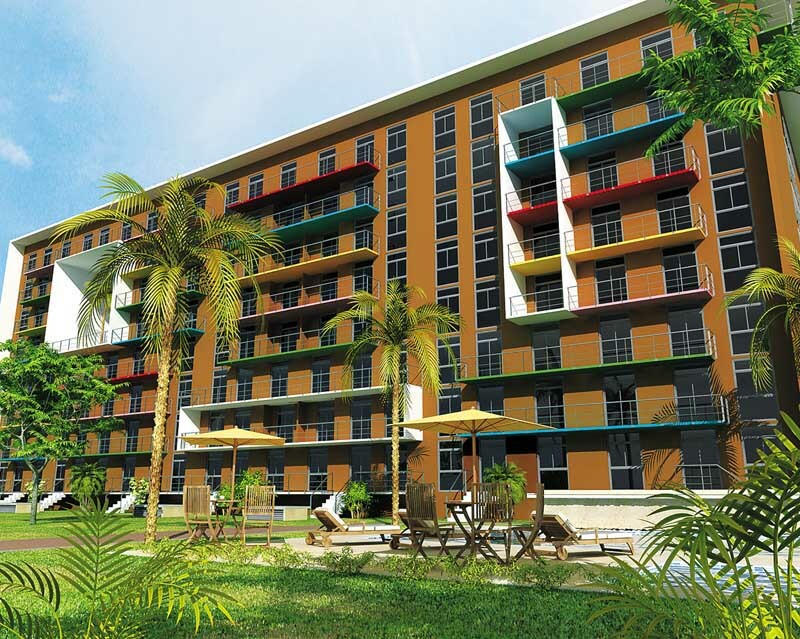 The residential complex SAYAB was built using an advanced industrialized process. Every one of its components, without exception, are designed piece by piece, ​​in the factory, and dry-mounted to build the buildings. 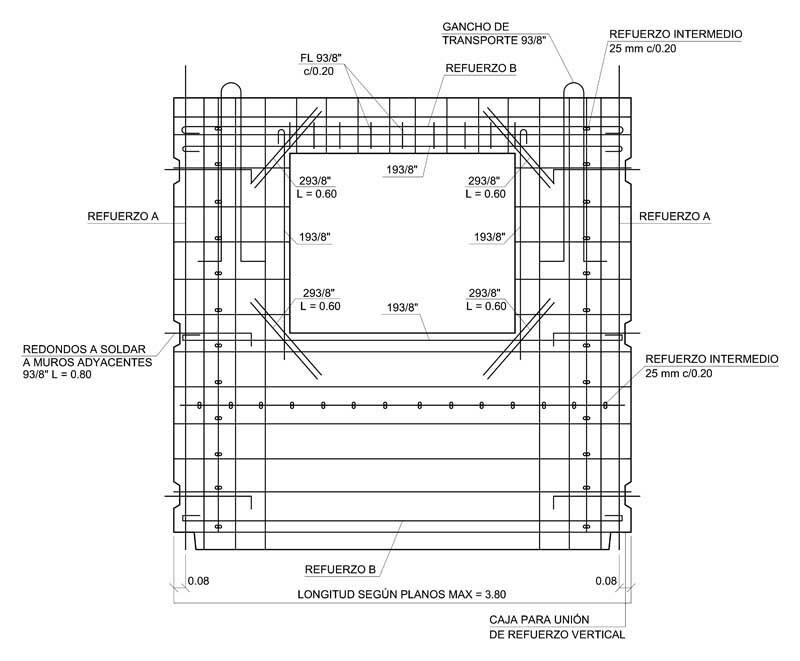 Even the supporting structure is made ​​out of prefabricated reinforced concrete panels and assembled together. 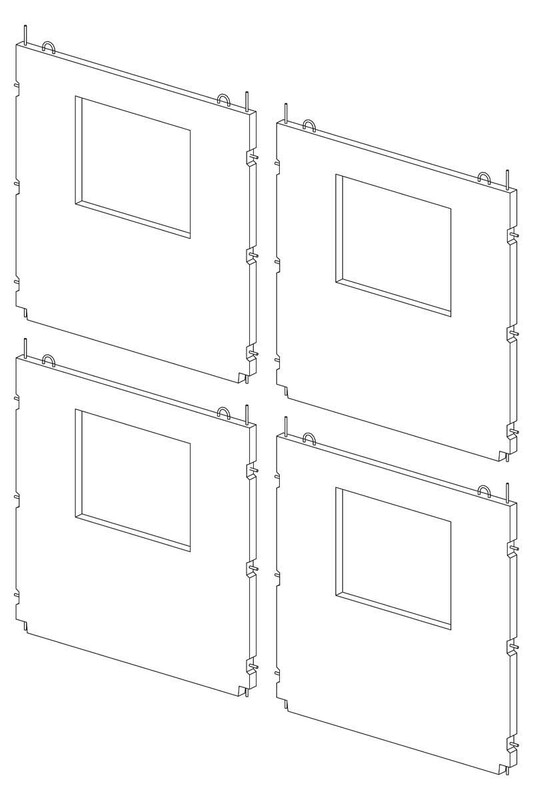 Precast panels have been designed and manufactured one by one, including rebar, anchors and installations that must be placed inside the panels. Once work starts on these panels they are mounted together at high speed through an ingenious system based on the merger of three metal rods on each of the panel faces. 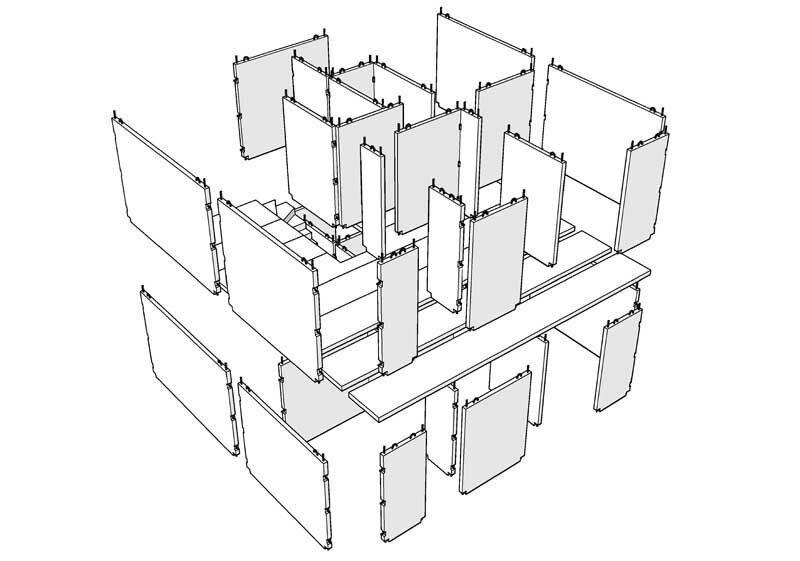 As a result, this creates a flexible dove tail between every panel, resulting in a removable structure with very high thermal inertia and high resistance to earthquakes. 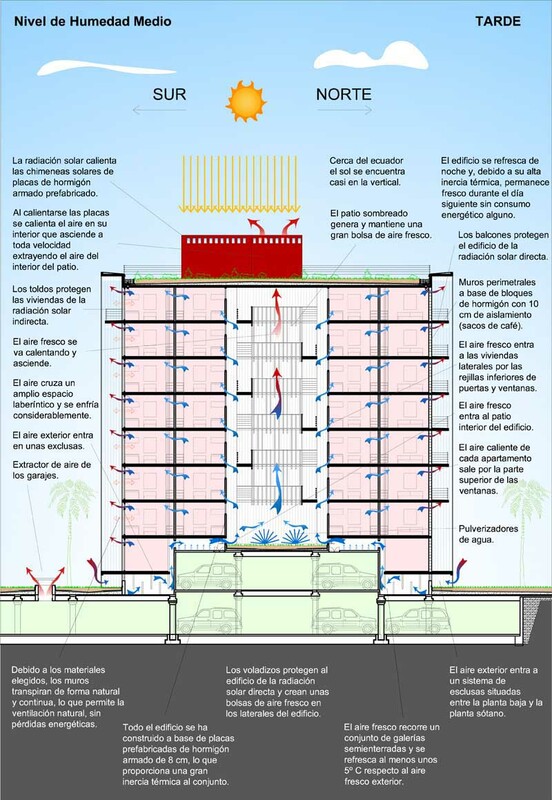 The different installations take place within the structural components, so that the assembly of the structure implies, at the same time, the assembly of the entire building. 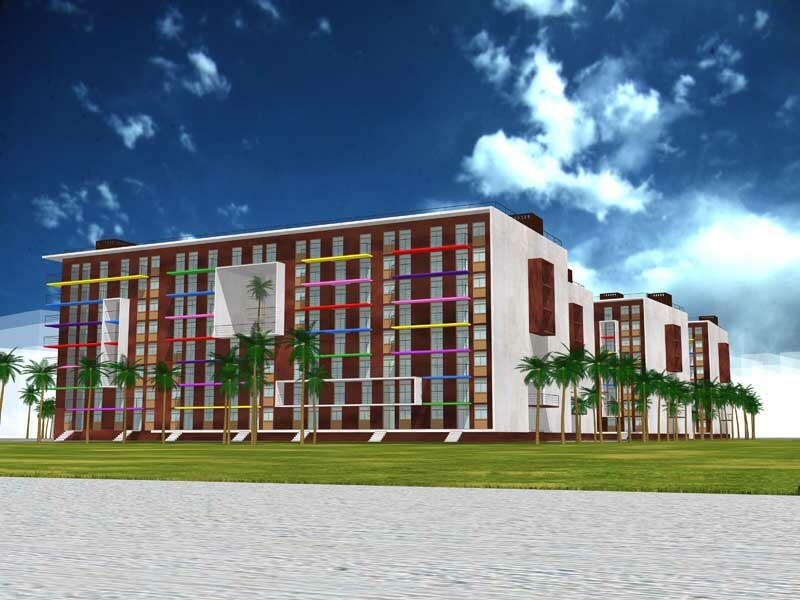 The industrialization and prefabrication of every component of SAYAB significantly reduced the price, increased the speed of construction, and also achieves the highest possible level of sustainability. 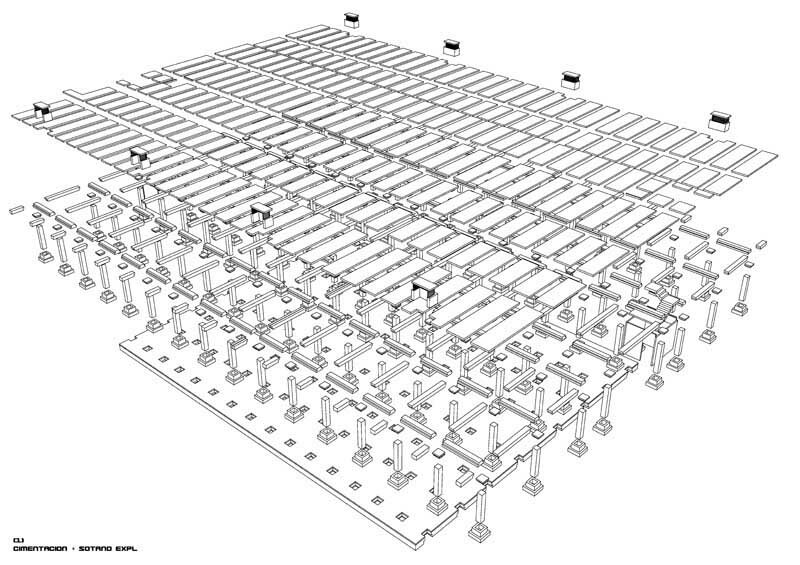 Every SAYAB component, including its own supporting structure are prefabricated and dry assembled. Allowing them to be removed, restored, repaired, and re-used as many times as desired. 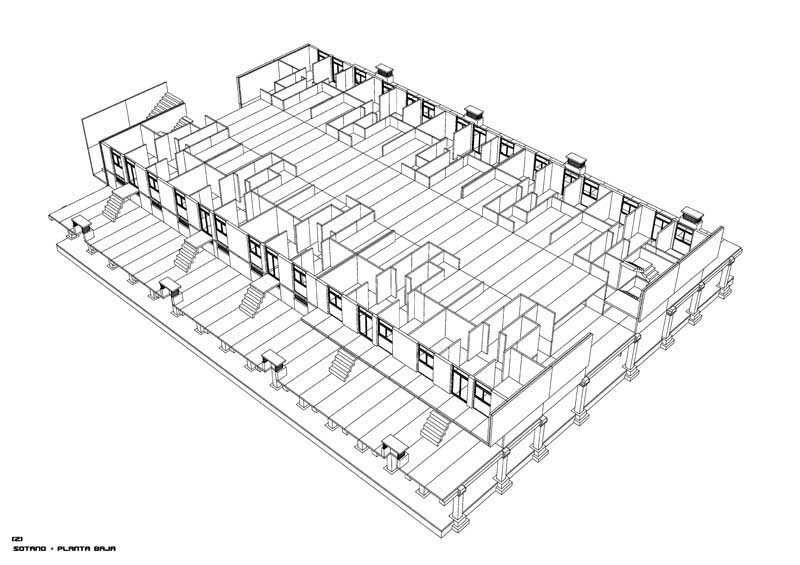 Due to the industrial and prefabrication system, if desired every component of the building could be removed. Thus, if you ever wanted to move the building, it would not generate any kind of waste and its components could be used to construct the building elsewhere, or could be used to build another type of building. Given the building can be disassembled components can be repaired again and again, or continuously replaced with new ones. 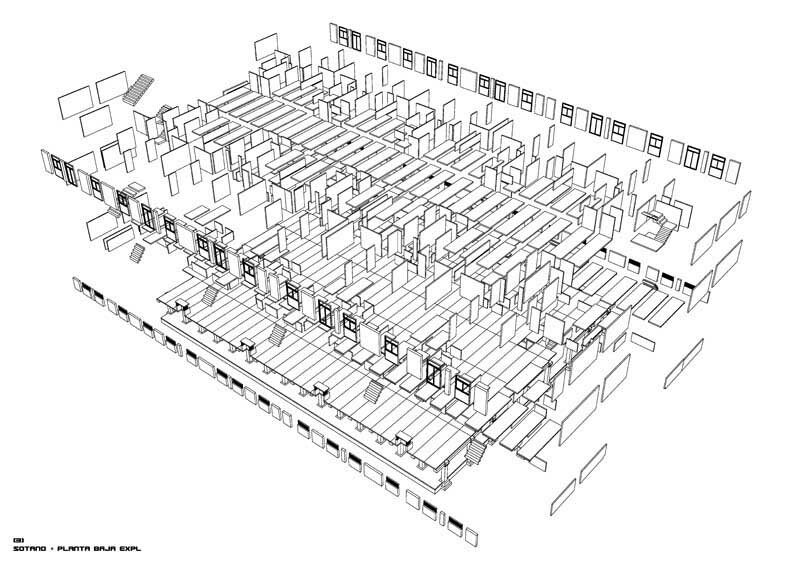 The result obtained is that the building could have an indefinite life cycle. Due to the construction system used, the quality of materials, and the limited number of devices required, the need for building maintenance is minimal. And therefore, minimizes maintenance costs. Despite the advanced and innovative architectural concept SAYAB, and the enormous number of innovations used, the price of the housing, is identical to that of any other middle class housing with similar characteristics. 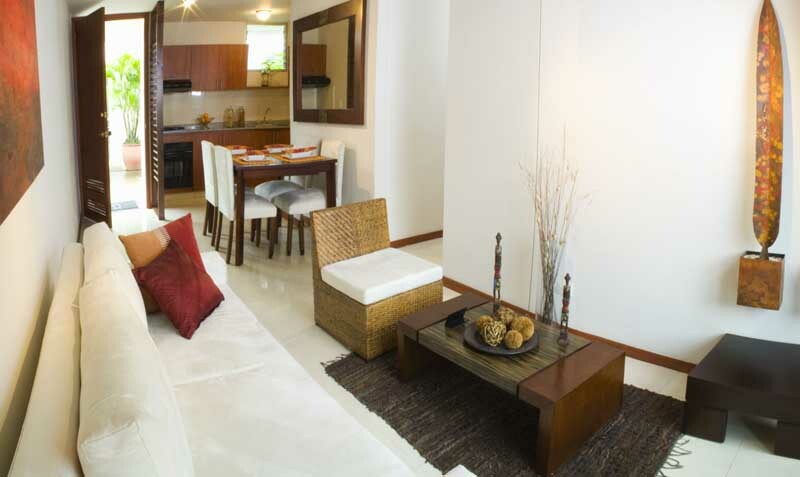 The sale price of a 72 m2 home is approximately 90 million Colombian pesos. That is, about 35,000 euros. 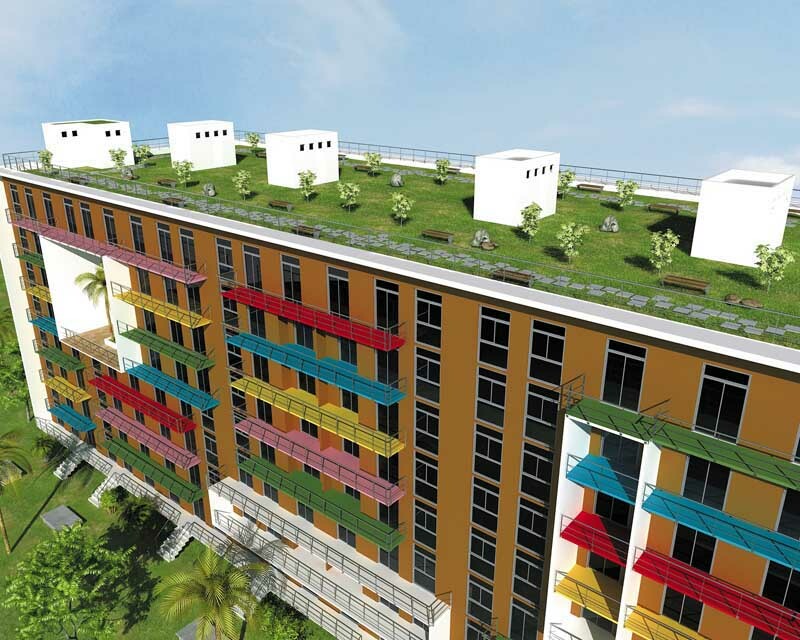 For all these features, SAYAB has become an international benchmark in sustainable architecture and social housing. It is a reference to follow and a legacy for future generations.